Infibeam has 400,000 lakh active and registered merchants on its platform. New Delhi: India’s first listed e-commerce player Infibeam today said it is the only e-commerce company scaling globally with its payment and platforms mechanisms. The company said, its platform is one of the largest payment enabler in India which has processed Rs 21, 550 crore value of transaction for financial year 2018. Likewise, its volume of transaction processed for the financial year 2018 is 102.52 mn. Lately the company has been focusing on its payment gateway business after its acquisition of CC Avenue in 2017. Also, the e-commerce player entered into the Middle East market with its payment gateway platform by acquiring Dubai-based Vavian Inter recently. It has 400,000 lakh active and registered merchants on its platform, it said. The platform also processes "GeM" Government of India Marketplace. 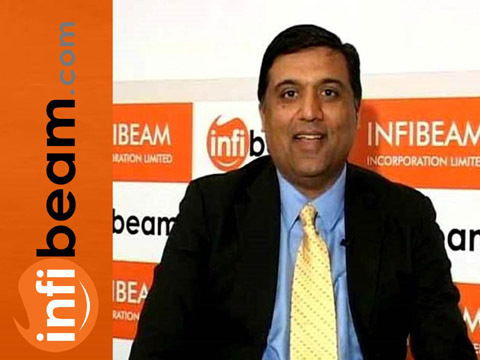 “Infibeam is one of the few profitable companies in India which provides SaaS based comprehensive end-to-end e-commerce solutions including warehouse management, multi-channel order fulfillment, e-commerce order processing, catalogue management, inventory management and omni-channel management for both brands and online sellers,” said Vishal Mehta, Founder& CEO, Infibeam.com.